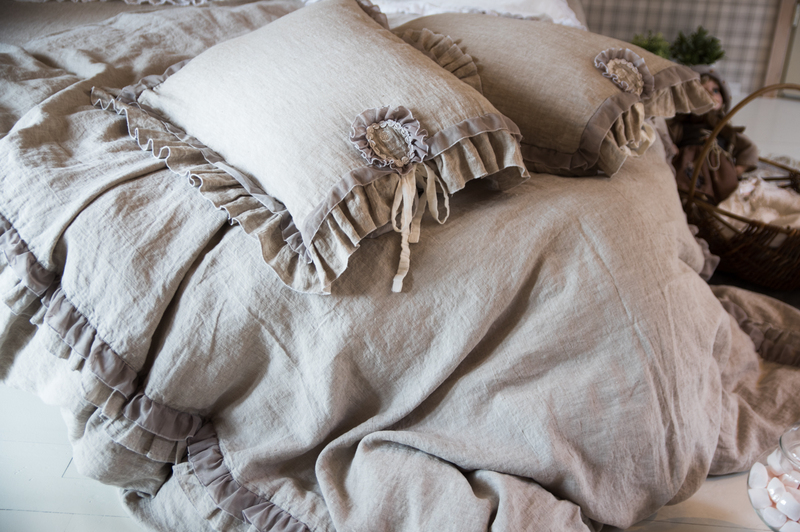 Our company OMALINEN uses high-quality natural linen to design and fabricate beautiful comfortable bedclothes. All our products have been through a special treatment-wash which makes them silky soft to the touch. Bed linen won’t shrink in the wash and for maintaining the “Vintage look” we recommend not to iron bedclothes after washing them. All OMALINEN products are handmade and decorated with our logo. Some products are unique and made only one copy. We prefer our products to be in calm and natural colours which carry the waft of purity and naturalness and therefore help you to relax. In addition to standard sets it is possible to make bed linen according to your personal wishes or add some extras to our sets. If desired, designer could specially create bedding set that matches your colour and style. Dear clients, please note that all our products are handmade and it may happen that your desired product is out of stock. Please give us time and we will execute your order. We definitely inform you the deadline which can be up to 3 weeks. We give the best to make your waiting time as short as possible.